Check out our new website! And you can also check us out on facebook! 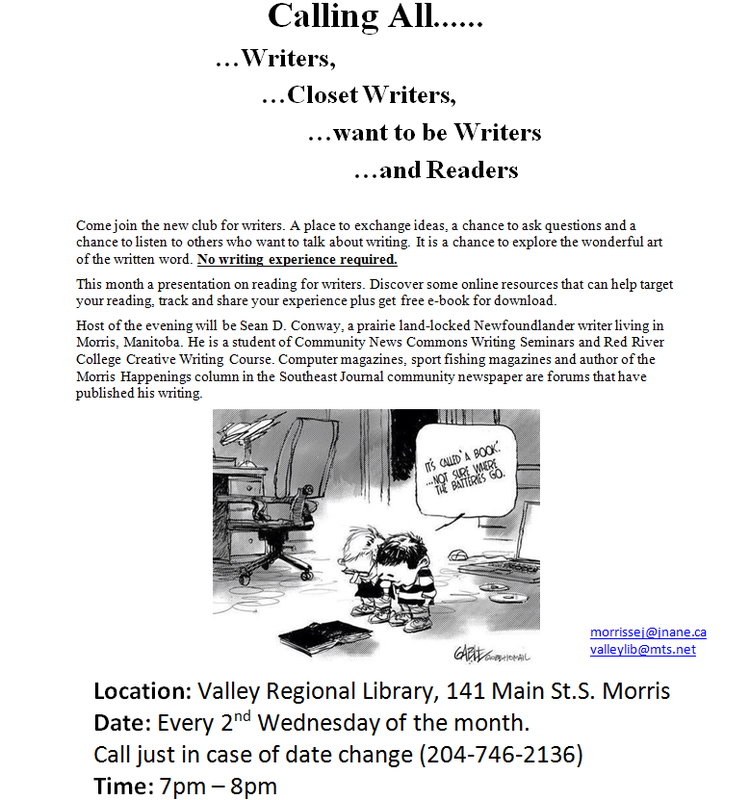 Join us at writers club every 2nd Wednesday of the month. Click here for more details! eLibraries is now available at the Valley Regional Library in Morris. Come in and ask our librarians about eLibraries details. Diane Ali (Head Librarian) or another one of our staff @ 204-746-2136.
or go directly to eLibraries Click here to start searching. Patrons can contact the library for User ID and password.